Australia's Leading Supplement Store. Discount Supplements Online! Cyborg Sport‘s WPI takes the highest-grade protein available and supercharges it with the most important amino acids for muscle growth. Cyborg WPI, BCAA Enhanced protein powder by CYBORG SPORT is an unrivaled lean muscle-building formula that will maximize your workout results and improve your physique. This delicious and unique product takes the highest-grade protein available and supercharges it with the most important amino acids for muscle growth, Branch Chain Amino Acids (BCAA). This powerful combination has been specifically created to meet the demands of elite athletes and those wanting a lean, muscular physique. Enhanced WPI increases muscle mass, aids in fat loss, reduces recovery time and improves overall performance. 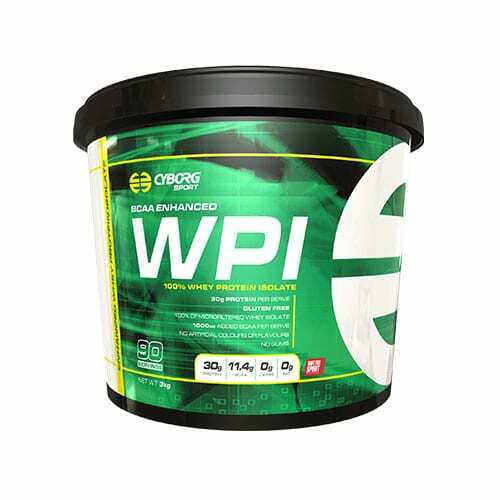 Cyborg WPI is unmatched among whey protein supplements for building lean muscle tissue. 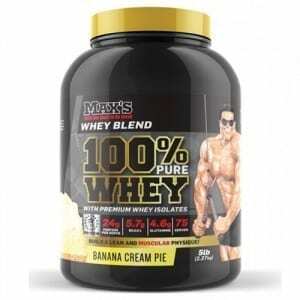 It has the most protein and lowest fat and carbohydrate content of any whey. Cyborg WPI has also demonstrated benefits associated with fat loss that further increases positive physique changes. BCAA’s are the most important amino acids within protein. By adding extra free form BCAA’s we have amplified the WPI allowing your body to utilize the protein more effectively resulting in even greater lean muscle growth and reduced recovery time and soreness. BCAA’s are the rate limiting amino acids which means your body cannot utilize the rest of the protein without sufficient BCAA. 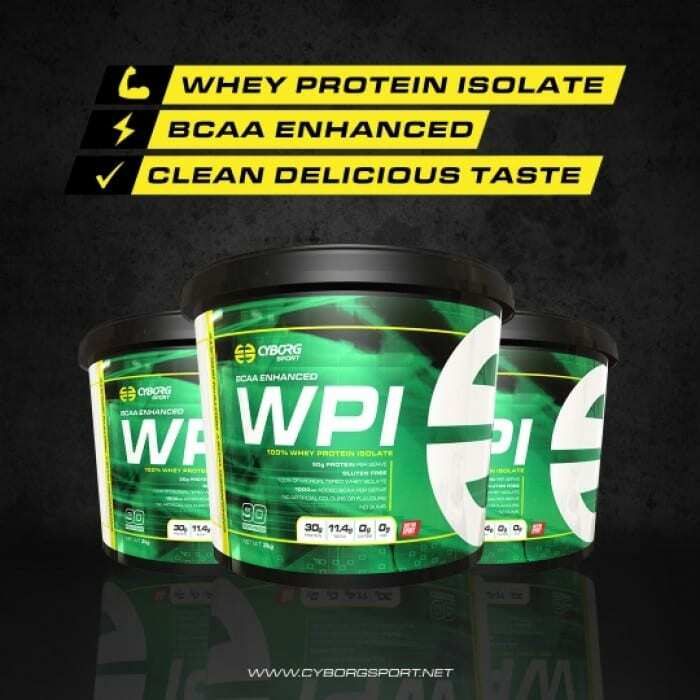 By using BCAA Enhanced WPI you can be sure you are getting the most out of your scoop of protein. Buy Cyborg WPI online Today! Instantized Cross Flow Microfiltered and Ultrafiltered Whey Protein Isolate, L-Leucine, L-Isoleucine, L-Valine, Natural Flavour, Sweeteners (950, 955). The Supplement Stop recommends mixing 1 serve with 150ml to 250ml of water or milk, shaken well. For best results, consume within 30 minutes of training and use it as a snack supplement in-between meals during the day.